Successfully Added ISAFISH 2.13m Spinning Rods 2 Pieces Medium Action Lure Fishing Rod High Density Carbon Fishing Tackle to your Shopping Cart. Spinning rods are made of IM7 strong carbon fiber and comfortable EVA handle. Stainless steel line guides and corrosion resistant, allow less friction. Strong reel seat and corrosion resistant aluminum hood for sturdy reel attachment. 8+tip guides arranged along the underside of the rod to help control the line. Medium action suits such as bass, trout and river, lake, reservoir, pond and fresh water. 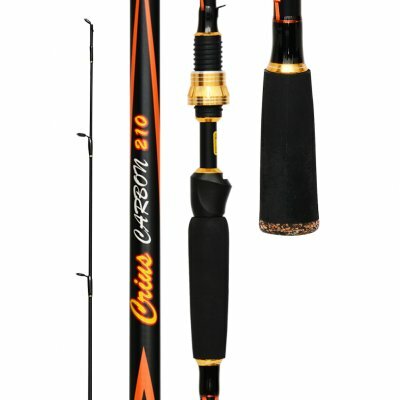 Lightweight for conveniently carrying around, ideal gift for fishing enthusiasts or collectors.